Thursday, February 21 | 9:30–11 a.m.
Come check out our new digs. 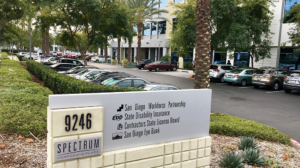 Everyone is invited to see our new corporate headquarters in Kearny Mesa. Join us for a ribbon cutting, to tour the space and be one of the first to see our brand new logo. Please note: There is no career center located at the headquarters and no employment services will be offered during the event.